Poignant and humorous film telling the story of the hugely popular author Terry Pratchett in his own words. 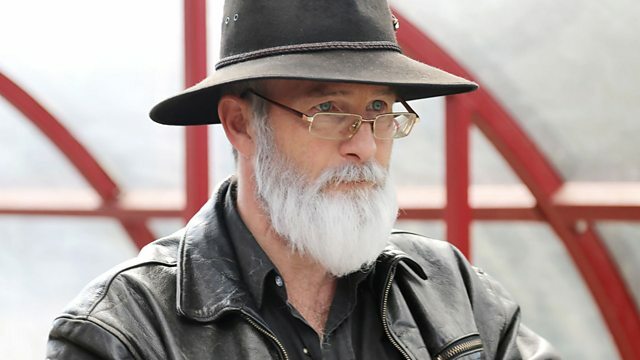 When the writer Sir Terry Pratchett died in 2015, he was working on one last story - his own. But Terry's Alzheimer's meant he never got to finish it. This poignant and humorous film starring Paul Kaye as Terry finally tells the story of this hugely popular author, creator of Discworld, whose books have sold over 85 million copies worldwide. Back in Black reveals Terry's road to success was not always easy, from his troubled schooldays to being dismissed by literary critics, to his battle with Alzheimer's. But knighted by the Queen, adored by millions of fans and with a legacy of 41 much-loved novels - Terry Pratchett is still having the last laugh. As told by Pratchett's collaborator on many spin-offs from the mammoth Discworld series. Gaiman's memorial reading is featured here in its entirety for the first time. The fantastical cover illustrations that visualised Terry Pratchett's Discworld. Exclusive extra scene as Terry, played by actor Paul Kaye, confronts his old headmaster.